The beautiful bit about India is it is a magnificent land. It's India. And there is nowhere like it in the world. When your head and body are ready to sing together, go to India. A place where your perspective expands so clarity can come in. Experience yoga in its country of origin while exploring mindfulness philosophy for your present and future self. Facilitated by Deliberate Method founder, Lyn Tally, enjoy an easy going facilitation of unfolding to your truth. Walk away from your experience connecting to a place like its home and people you want to call your family. *Airfare calculated on June 13, 2016 and based on an average from three major US airports (see below). Airfare subject to change. Book your trip now to guarantee current rate. FIRST- Reserve your spot for only $355 US at YogaUnited. SECOND- Book your plane ticket. THIRD- Tell your friend. There is nothing more fun than sharing the memories with those you love. FOUR- Jump up and down because you have just booked a trip of a lifetime and it is time to CELEBRATE! Being present to yourself is key to a journey of healing and stepping forward into the life you want to live. It’s also the first step in repatterining what’s happening now to shape a future that is designed from your truth. In order to move from where you are and appreciate where you land, you have to know where you are starting from. 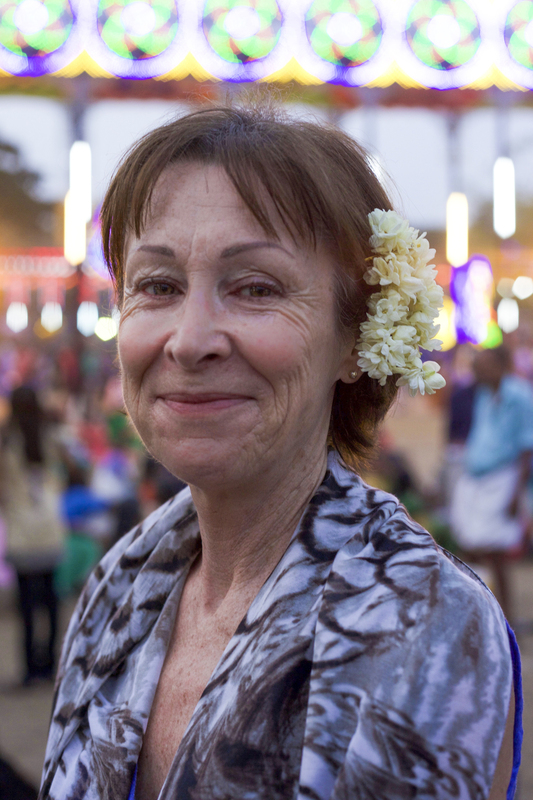 Lyn teaches her mindfulness approach online at deliberatemethod.com and is now offering the experience in on the India retreat. You learn mindfulness through your bodies perspective. Then you learn how to embody the thoughts and feelings for your future so you can develop new patterns that align with your passions and desires. Walk away from this yoga retreat with a new perspective on how you practice your yoga, mindfulness, and other self-healing modalities. This retreat compliments any yoga, meditation, self-inquiry, therapy or spiritual practice. You will need a tourist visa for India - the official website and online application process is http://www.in.ckgs.us/visa/type-of-visa/tourist-visa.shtml. Tourist visas are valid for 6 months so you can apply early. For Kerala and Tamil Nadu, please check that your typhoid, Hep A and tetanus are up-to-date. We advise you to check with your health care practitioner for the latest information. There are not many mosquitos around because of the sea but at dusk, you should cover yourself in mosquito repellent - you can anoint your mat with yogaunited's Bug-Off essential oil or mix it with your after-sun. Rooted in the practice of awareness, Embodied Mindfulness and Yin Yoga compliment each other by sharing an understanding that the felt-sense of the body is a powerful one. Tuning into the moment through our bodies, while engaging in a yoga practice, or in life, can anchor us into what’s happening now and engage us in finding ease, clarity, and freedom.